For those unaware of Irving a self publicising self taught historian who has spent years pontificating that the Holocaust was some sort of dreadful lie and delighted in public displays of grandstanding. But by the early 90’s he was to be utterly discredited in a famous British High court case. 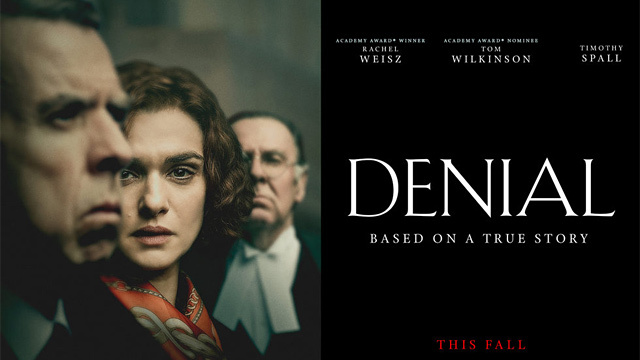 It’s Rachel Weisz as the American academic Deborah Lipstadt who had railed against the lies that Irving perpetrated and was highly vocal in both print and in her lectures against what he peddled. Irving, always keen to get himself some publicity, turns up at one of her lectures and in his usual display of showboating waves around a wad of dollars to anyone that can prove him wrong. No one does and Irving then proceeds to sue Lipstadt and her publisher for libel where she decides to fight the case in a British court of justice where the burden of proof lies on the defendant. It’s a brave move on her part as even the Jewish community don’t want her to proceed with the case, as seen in an extremely awkward dinner with her supporters and she finds that the British legal system frustrates rather than aids her cause. Taken on by solicitor Anthony Julius (Andrew Scott), who famously led Princess Diana’s divorce case, she finds an eager ally, though there is a suggestion that he too was perhaps looking to further his own reputation by taking on the case, and is both charming but ruthlessly efficient. For Irving who hypocritically wants free speech but wants to suppress hers relishes the oxygen of publicity that the case will afford him regarding it as being that of the academic against his outsider. His delusional opinion of his own abilities means he defends himself in court against barrister Richard Rampton (Tom Wilkinson) and it’s the court where the best sequences happen. 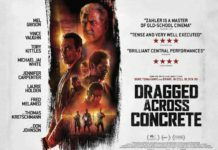 This is an enjoyably performed ensemble piece and Wilkinson is good in his court room scenes where he decimates Irving’s arguments and it’s a pity that there are not more sense like this but then it does risk unbalancing the film and daresay even prompt some sympathy for Irving as he’s torn apart on the stand. But Spall as Irving is utterly odious and splendidly oleaginous and you can’t take your eyes off him. The outcome of the case is well known but even in defeat Irving remained utterly delusional in his failure. It’s Rachel Weisz, herself no stranger to great performances, who probably has the least to do here except be frizzy haired and heavy accented. 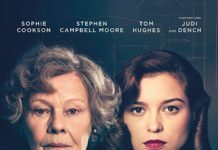 This is sympathetically filmed with scenes at a mist laden Auschwitz both chilling and affecting but the machinations of a British court may alienate non-UK audiences but should not stop anyone from seeing a film that serves as a reminder how wilfully ignorant people can be to the facts of such an appalling chapter in history.